Currently the description fields available for deals are formatted as plain text. 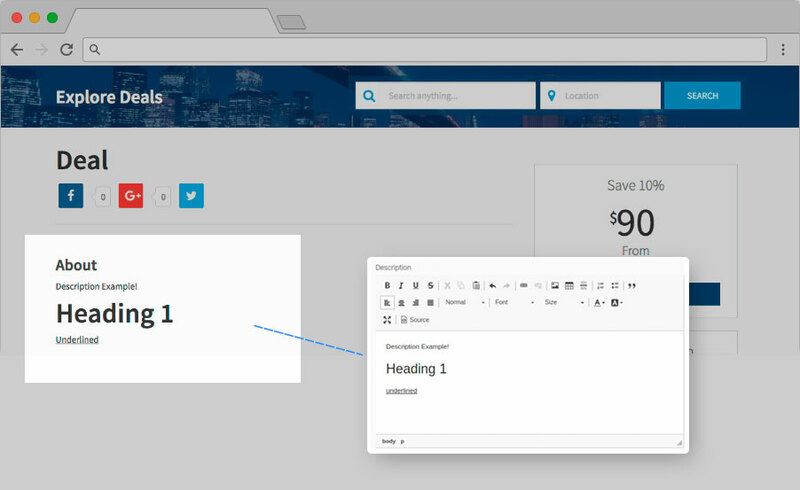 This feature will provide listing owners access to HTML rich-text editing tools for their deal’s description field. Listing owners will have the ability to add colors, bold and italicize text, and add hyperlinks as well as other changes available through the wysiwyg editor.